This had been on my to read list for ages and last week I finally succumbed to its charms. The book is a memoir of Cheryl’s time walking the Pacific Crest Trail on the west coast of America and the events that led her to do it in the first place which I will not go in to – you can read that for yourself! What I will tell you is that this book is superb and once she hits the trail you are literally there with her spurring her on as she makes her way along it. 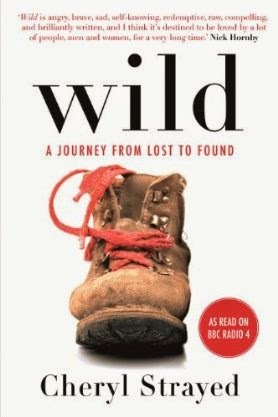 The imagery this book conjures up is amazing and this part of the world in my mind is beautiful, my only concern was for Cheryl as a single woman walking the trail alone, and my concern was genuine as she faced inclement weather, wild creatures, sore feet and the worst kind of concern – other people. I truly think she was a little mad to do this but also incredibly brave, it is one of these books that makes you want to get up and do it yourself. Just finished this and wanted to jot down my thoughts whilst they were fresh in my mind. 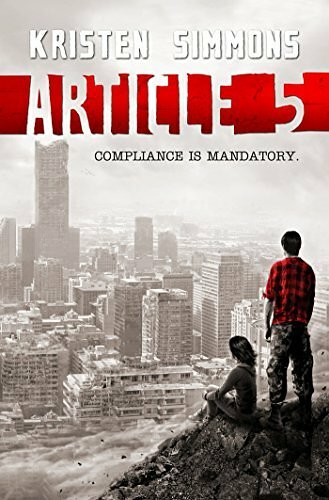 This is the sequel to Article 5 which I enjoyed, this book I did like but something that I can’t put my finger on exactly is missing. 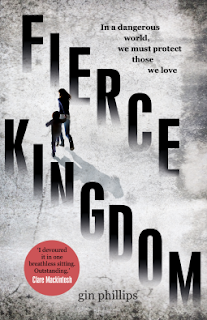 Ember and Chase are now fighting with the resistance and this book revolves around mainly their dealings with a sniper who is taking out the bad guys and the possibility of a mole in the ranks, the character of Rebecca from the first book also returns as a large section of the book deals with her rescue. The book ends with a gruesome find and it seems like hope is well and truly lost. A good but predictable read and I will continue to read the sequel Three. Now I haven’t even finished reading this book on my kindle but I just had to bring it to your attention. This book is a memoir of Sam’s time as an English teacher in rural Japan, this may not sound like a thrilling read but trust me it’s wonderful and if like me you have a fascination with Japanese main and sub culture then you will enjoy it too! Like I said I still have to finish it but so far it has conjured up an amazing image in my head of the area he stays in along with a cast of supporting Japanese characters ranging from his local landlord to the head teacher of the school he works at. 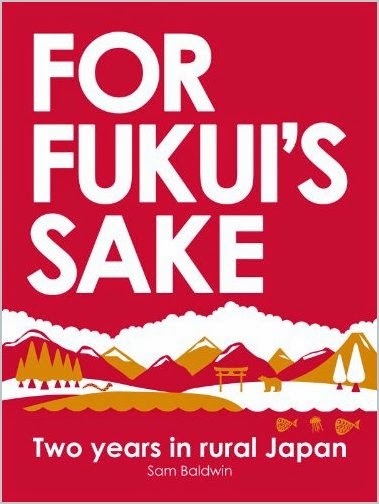 It’s funny, it’s well written, it makes we want to go to Japan and buy weird things from vending machines. It has a website too if you fancy a look http://forfukuissake.com, right if you will excuse me I am off to finish it. I did finish the book and I really loved it, in fact after enjoying Sam's book I have bought a few more books on Japan, now if only I could persuade my other half to visit!! 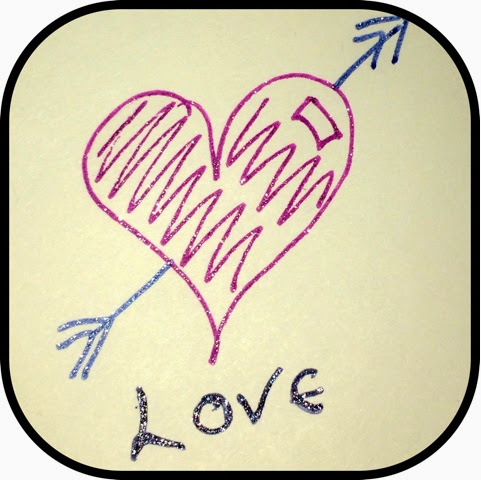 Ok these are nothing special, I am not a top notch artist but I do like a wee doodle from time to time. As mentioned in my earlier post I purchased some fab new pens from Hobbycraft during my jaunt to Dundee today, below is an example of the pens I purchased and I am really pleased at how sparkly they are. They are Sakura Gelly Roll pens and they seem to come in a vast variety of colours and textures, I can’t wait to use them on something special. At the bottom of this post I have included a video from the Sakura website which shows an amazing artist using a Sakura pen to amazing result! Artists of the world need not fear my drawing skill! 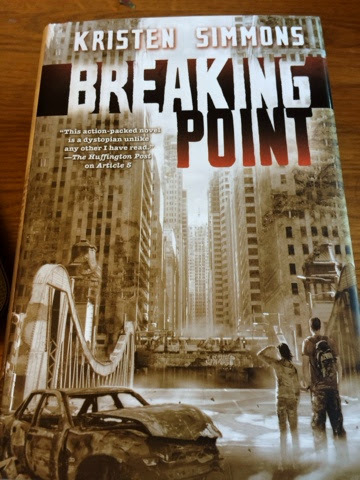 Last week I received in the post the third book in the Article 5 series (Called Three) and because it has been so long since I had finished reading the second book (Breaking Point) I made the decision to go back and read the first in the series – Article 5. This book had first appeared on my radar as I had started reading a lot of Young Adult novels of the dystopian persuasion and Amazon kept recommending it to me. Like a lot of books of this genre this is set in the near future after a catastrophic event/s has shattered everyday life. The main character is Ember who is 17 and lives with her Mother in what was the United States, after a series of events the big cities have been bombed and a new government has taken over and with this new government comes a new set of rules or articles and these are governed by the Federal Bureau of Reformation. These articles are set out with what seems to be extreme moral family values in mind and as Ember lives with just her mother they are in direct violation of one of the Articles. Sorry I am trying to write this with spoiling any of it for you, anyway I digress, because of Ember’s mother breaking one of the rules/articles Ember is taken away to a boarding school and during the lead up to this she comes in to the path of her childhood love Chase (who sounds quite hot) but unfortunately he works for the bureau as a soldier. The story continues with some of the horrors of the boarding school and the people who live there but luckily with a little help Ember manages to escape. The book from there on deals with Ember’s struggle to stay hidden away from the cruel bureau. Even though I am not in the intended audience for this book which I imagine is probably 14-20, I really enjoyed it and have went on to read the second book which I will review once I finish it. My only gripe with these books is basically why is it only this one girl (and its usually a girl) who can stop the bad guys?, but apart from that I would give it 4 out of 5. My Second Post - Tweeking! Ok I am back today which in itself is a miracle as my little angels are on holiday, bless their cotton socks and skull print leggings. After consulting with Obi-Wan last night my first attempts where praised to high heaven and many words like fantastic, epic, wonderful (you get the idea) where not bandied about!! I am today tweeking (not twerking Miley fans) adding my Pinterest feed, adding blogs I love and generally figuring out what all the buttons down the sides do. I am quite computer savvy but being faced with the many many many options on blog.com's dashboard is a little daunting, even more when it is on a tiny iphone screen which is why today I am going old school on the laptop and to be honest my eyes are very thankful for the break! I hope to attempt to write a review today about a great book I have recently read called Article 5 by Kristen Simmons so you have lots of rambling to look forward to and a lot of not really getting to the point, right better go need to clean my spotless house! Or more likely Hello Heather from the future reading this again. I have been inspired to start a blog after getting addicted to Pinterest last year and discovering pinners with amazing blogs. I apologise for rambling, bad punctuation and random facts.